God, even the name is boring. I’m having a hard time getting up for this game, maybe it’s because its Florida, the nations graveyard. You see, when you live in the north, what Florida’s really known for is being the place where people move to when they get old, you know, for the climate. And when you hear that for a few decades, what Florida then becomes is that place where old people go to die. Plus, its got the humidity of New Orleans without the fun to make it worthwhile. 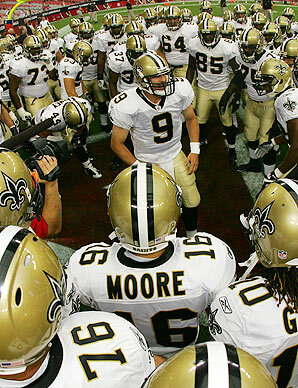 No thanks…Go Saints! Enjoy the game everybody. Florida is also where Democracy went to die in 2000 as George W. Bush ascended to the Presidency through a coup d’etat with our Supreme Court. This coming from a fan of New Orleans Louisiana. A perfect example of where everyone wants to live. In a completely, perhaps the upmost corrupt city in the United States. Rattled with putrid cesspools of nickel squandering bar holes ready to turn its next victim into a money producing zombie for the city to capitalize off of once arrested. Sure, great place to go. Let’s all take this guys advice and leave the beautiful State of Florida where people come to bask in 330 plus days of sunshine per year, 663 miles of clean beaches, and pay no state tax because of the ever booming tourist industry. Good idea. Go JAGS. Umm, you lost…and talk all ya like, Florida is still responsible for not only Disney, but every other horrid child-star coming out of that cesspool called Orlando and besides, you seem to forget one very important thing…some of us hate the beach…Cheers!